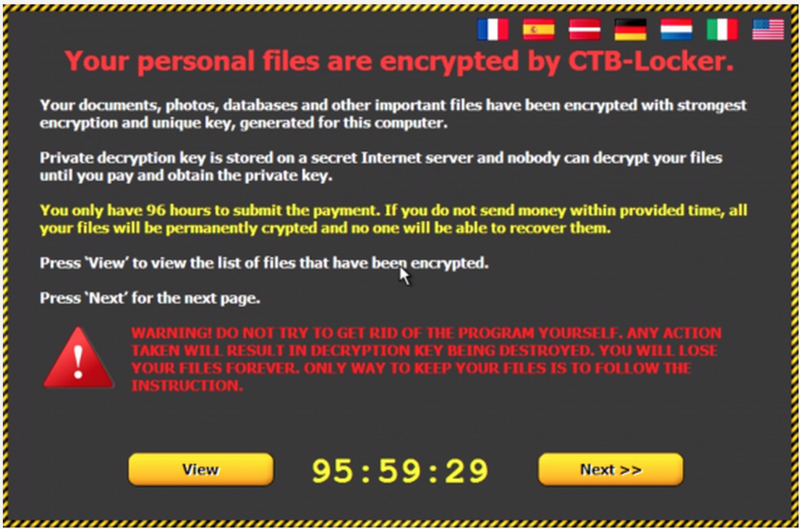 Ransomware: What is it? How do you prevent it? Why are you a target? Ransomware cases were on the rise and 2016 with a suspected $1 Billion dollars of ransom paid from businesses and individuals to cyber criminals mostly in untraceable Cryptocurrency like Bitcoin. This is up from approximately $24 Million according to statistics posted by the FBI. I don’t have a crystal ball, but with that type of growth, I think we can expect a much larger number in 2017, which is really bothersome to me. As an entrepreneur and business owner, I understand how difficult it is to bring in revenue, cover your costs, and still make a decent living. It frustrates me to no end that cyber criminals are able to very easily deploy this attack with a little research and some open source software. It has become my mission to educate as many people as possible to prevent money leaving hard working people and going into the hands of criminals on top of any lost business caused by the attack, stress, fear, and everything else that comes along with it. So let’s get into it. What is Ransomware? Ransomware is a type of malicious software, malware, designed to block access to a computer system until a sum of money is paid. Once your system is infected the perpetrator will use Advanced encryption algorithms designed to block system files and demand payment to provide the victim with the key that can decrypt the blocked content once the ransom has been received. 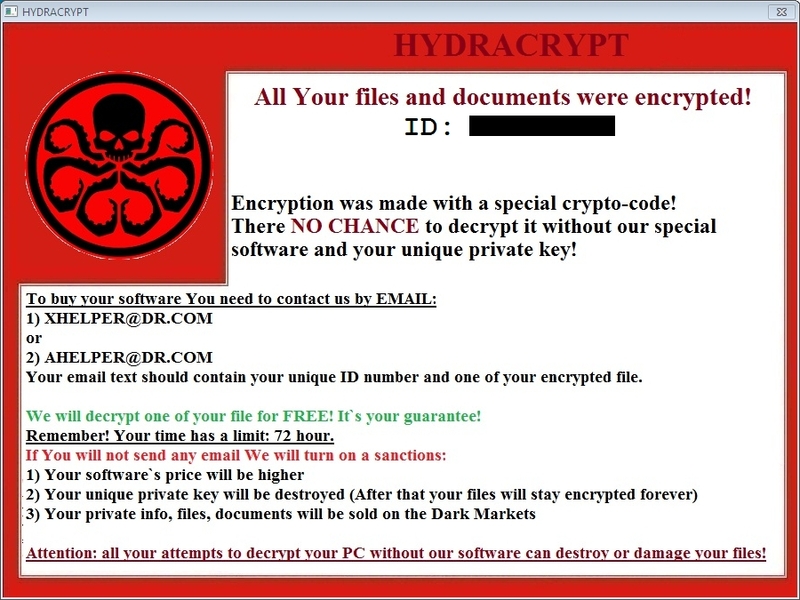 See some images below to understand what ransomware attacks look like. The only good news I can share about these attacks is generally speaking these hackers tend to be ethical in that when you pay them the files or systems become decrypted to ensure they protect their reputation for future victims. So why are these victims targeting businesses? 1) Because that is where the bigger payouts are! 3) Computers and Servers in businesses are often complex and thus more vulnerable so there are many different ways to infiltrate the business. 4) Social engineering tactics allow hackers to take advantage of companies biggest liability, the human factor/employees. 6) small businesses especially are not prepared to deal with advanced malware attacks and have little to no polices around IT security for employees. 3) Verify any requests from institutions that arrive via email over the phone. If the email itself has a phone number, don’t call that number, but rather one you find independently online or within documentation you’ve received from that company. 4) Strong passwords. This means using a combination of upper and lower case letters, symbols and numbers and having at least eight characters or more. It’s also good practice to change your passwords at regular intervals. Act quickly! Engage an expert like Nocserv that is prepared to work with you on how to handle the attack from start to finish. Do not try and get yourself out of this jam, in most cases you will make the situation worse. I will be running a series of webinars going into further details, please register for a date/time that works for you to learn more.